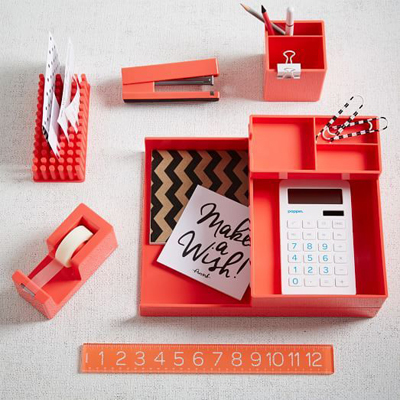 Poppin’s stylish Coral Color Pop Office Accessories add instant personality and charm to your work space while keeping you organized. $5-$80. Buy here.